In the fall of 2005, the newly established Monroe Hospital in Bloomington, Indiana required commercial roofing installation to help finalize the building's structure and design. After completing a different hospital project with great success earlier in the year, Bloom Roofing was eventually selected for our industry-leading roofing systems and expertise working with similar buildings. Using Bloom Roofing's proprietary best-in-class planning and design processes, our team of highly experienced contractors developed a custom roofing solution that would provide the Monroe Hospital with maximum roof performance and energy efficiency. Working hastily to finish before the impending winter, Bloom's highly-experienced team of contractors installed a 94,840 square foot adhered EPDM roofing system that still protects the hospital's patients and assets today. Are you looking for a hassle-free commercial roof replacement or repair? 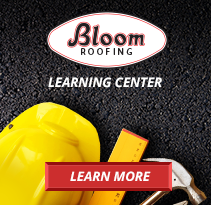 Contact Bloom Roofing's industry-leading team here.